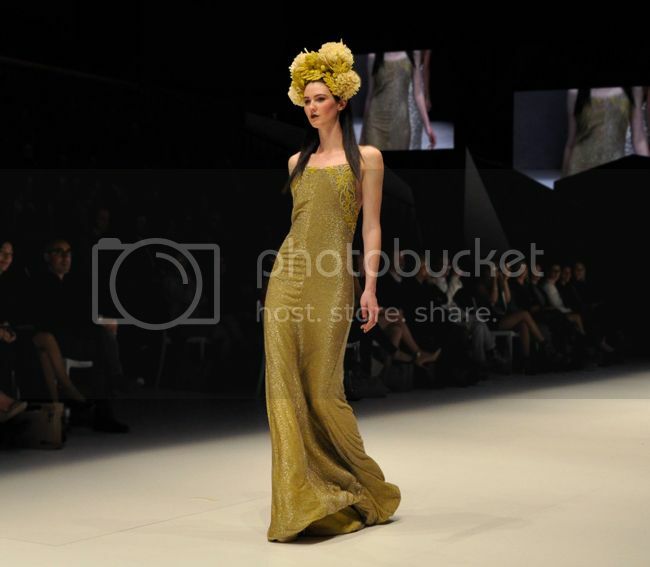 For this year's Melbourne Spring Fashion Week, I attended two of the designer runway shows. The first was Runway 1 on Tuesday night, where I was excited to recognise quite a few other bloggers in the crowd and had the pleasure of briefly meeting Chloe Ting. 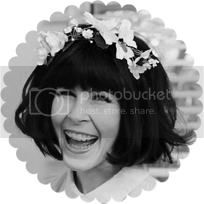 I'll be posting the two outfits I wore to the events this week and next. 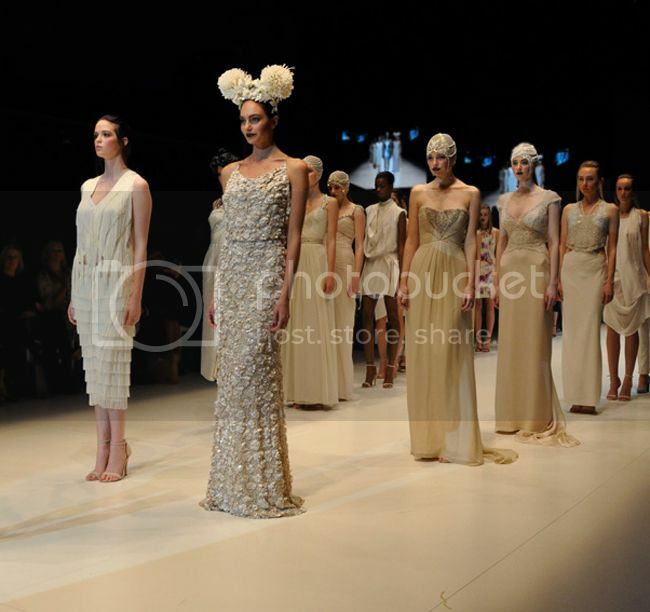 My two favourite collections from this show were by Aurelio Costarella and Gwendolyn. 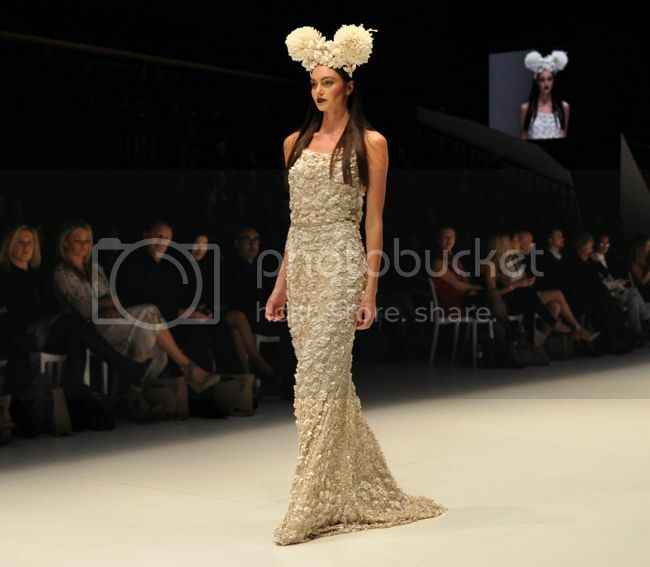 The Aurelio Costarella collection featured amazing pop pom floral head pieces and bustiers and dresses embellished with fringing and embroidery in coral, mustard and aqua. 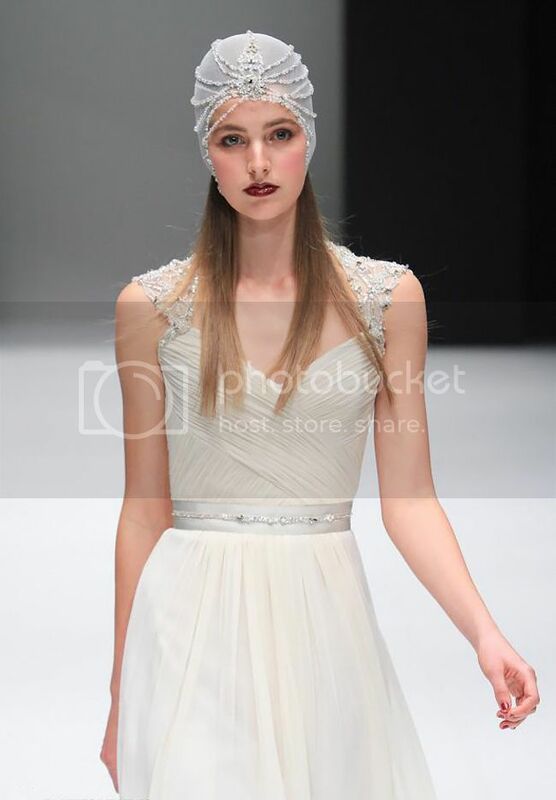 The Gwendolyn collection was completely different; feminine and whimsical, the models wore long white dresses with silver detailing, topped with an intricately beaded cap. 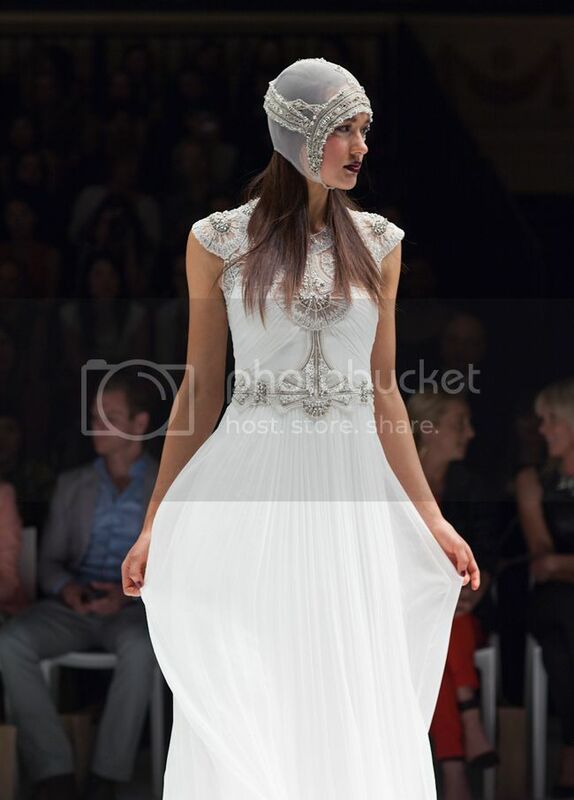 The style reminded me of the 1920's flapper or a character straight out of the Great Gatsby. 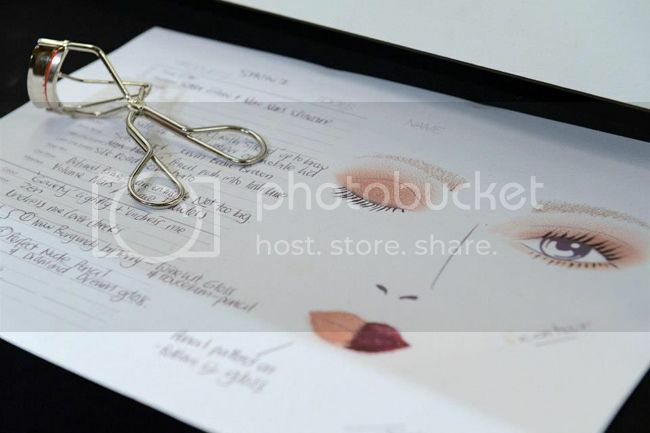 The makeup was also beautifully done with a heavy lip colour and soft smokey eye. 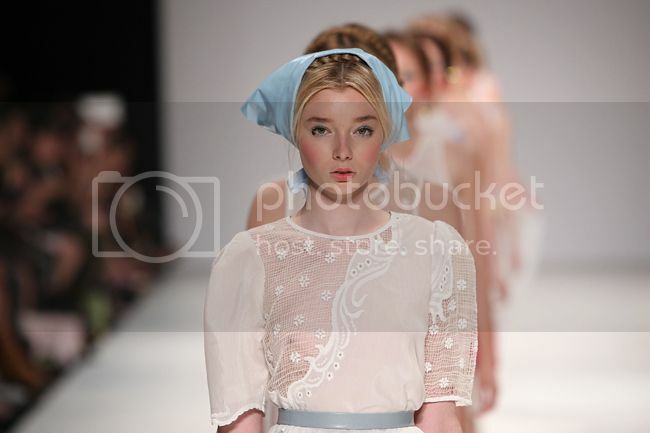 The second show I attended was Runway 4 on closing night. 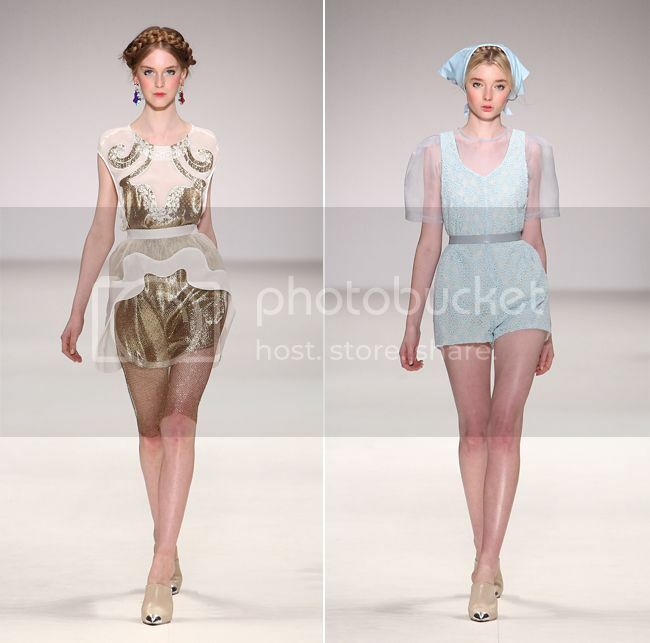 The highlight of this show for me was definitely the Alice McCall collection. 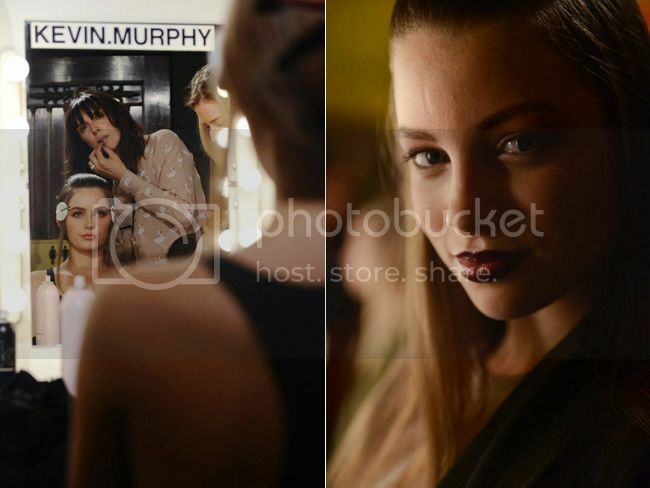 The below images are the same collection but from the Sydney Mercedez-Benz Fashion Festival, as I found the makeup and hair styling complimented the collection so much more. With its bright floral details and pastel lace dresses and tops, this collection is the most wearable of the three and I'd love to get my hands on a few pieces. In the mean time I'll make do with trying out the super pretty hair and makeup look from this show. I'm not quite sure how to get the large braid to work for shorter hair but I'd love to give this summer babushka doll look a go! 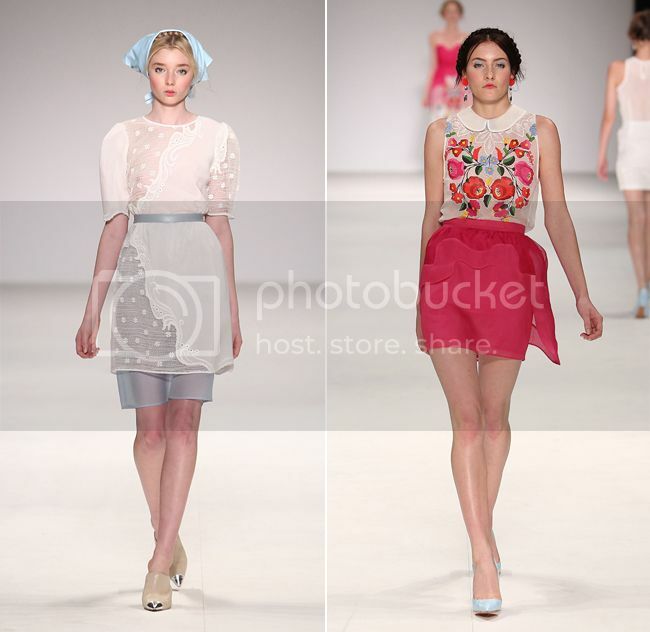 The Alice McCall top in the sixth photo with the peterpan collar and mexican type flowers, is so amazing! I need it! Sadly, it's doubtful it is within an extremely poor uni students budget! 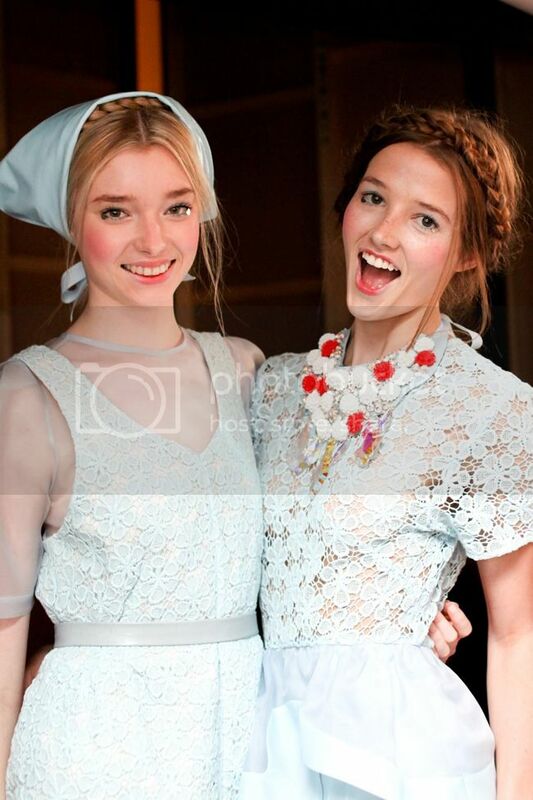 I love the hair and make-up from the second show, so pretty and doll-like! You are so lucky to have been able to attend these shows, that must have been an awesome experience. 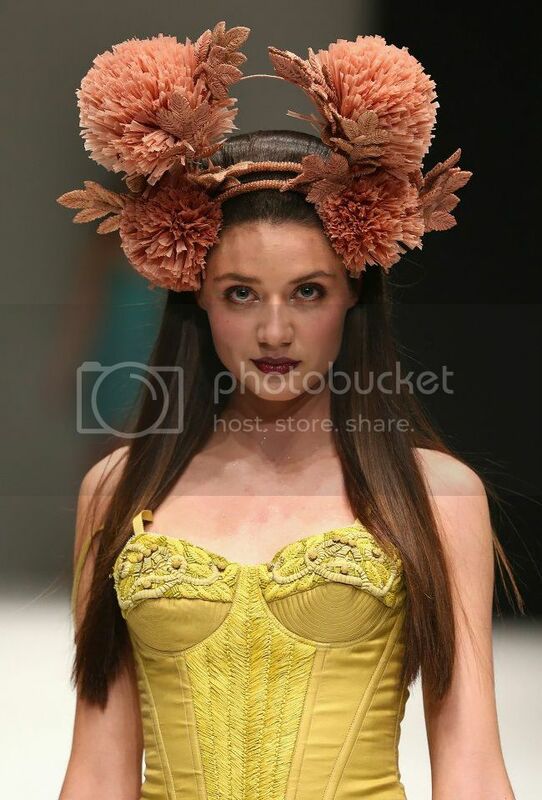 I STILL have yet to attend an actual runway show, how sad :( anyway, the head pieces in both of those collections are AMAZING! 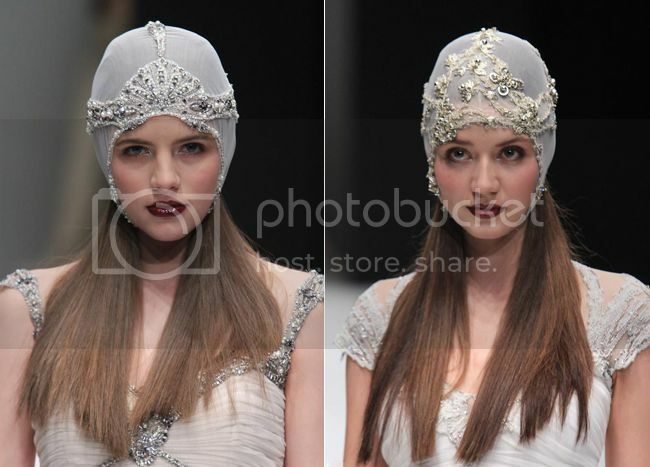 these head pieces are pure art ! I'm a huge fan of the first designer. 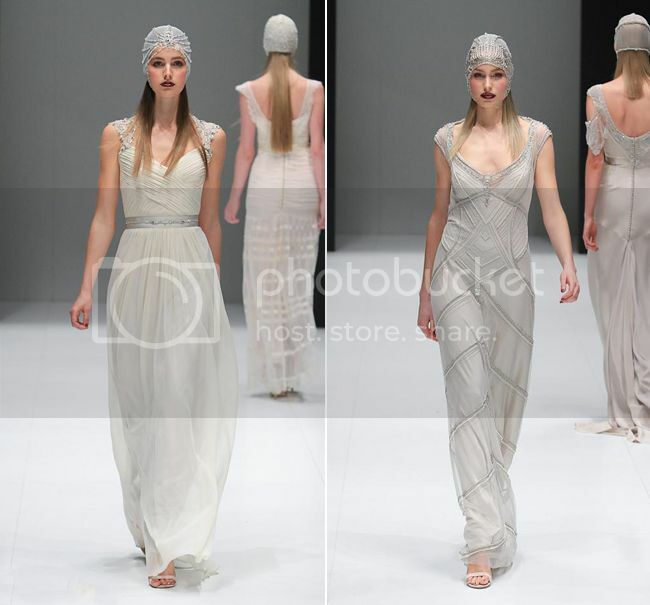 The use of those head accessories are beautiful, and they provide a great unifying thread throughout the collection. The pompoms add so much color.